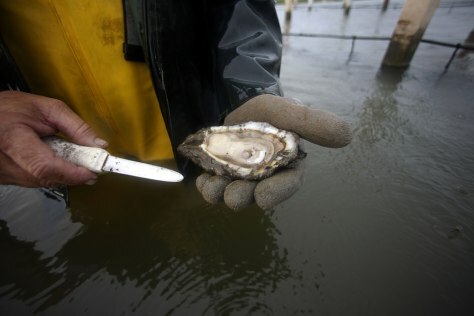 Can 'super' oysters boost La. shellfish industry? John Supan, a marine biologist with the Louisiana Sea Grant of Louisiana State University, who specializes in oyster farming research, holds a sample as he checks oysters in his hatchery in the aftermath of the Deepwater Horizon oil spill in Grand Isle, La., Aug. 9.